Pallot Steam, Motor & General Museum, Special Events 2019. Liberation Steam & Motor Fayre - Thursday 9th May. Steam Threshing and Motor Fayre - Saturday 7th September. Tractor lineup at one of our recent events. The museum tractor collection includes some of the earliest tractors that are part of the Islands farming history. 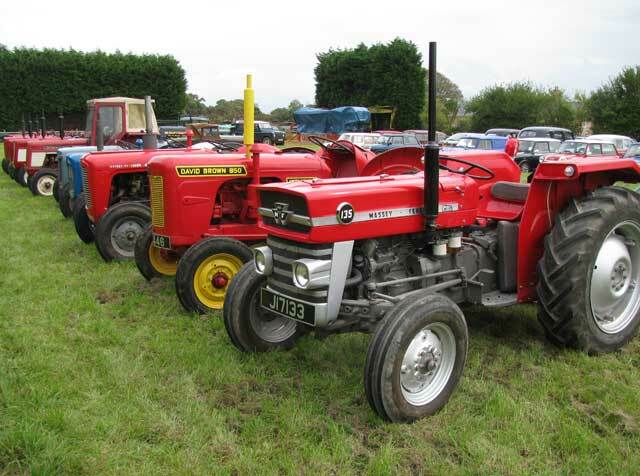 From the early Fordson Model F up to 1960's examples of International Harvester tractors sold by L C Pallot Ltd. Truly a Great Day Out for all the family, there is something of interest to all ages.